DETROIT (Bloomberg) -- Chrysler is recalling 867,795 Jeep Grand Cherokee and Dodge Durango SUVs to install a shield to protect brake boosters from water corrosion. The repair program includes 644,354 in the U.S., 42,380 in Canada, 21,376 in Mexico and 159,685 elsewhere, Chrysler said. The automaker did not say whether the recall included Europe, where its Jeep brand sells the Grand Cherokee. Vehicles from the model years 2011 through 2014 will be inspected and the boosters replaced where necessary, the automaker said in a statement on Wednesday. Chrysler started an investigation following customer complaints about excessive brake-pedal firmness. 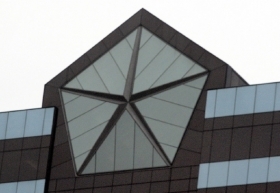 Chrysler said it's aware of one related accident and no injuries. "Certain vehicles have brake boosters with small crimp joints, and these joints may exhibit corrosion when exposed to water," the company said. "Should water enter the boosters through corroded joints, a previously unseen occurrence, brake function may be compromised if the water freezes." A surge in new car models, increasingly complex technology and heightened regulatory scrutiny has led to more recalls, particularly over safety concerns, according to a study by financial advisory firm Stout Risius Ross Inc. released last month. Recalls this year by Chrysler, which Fiat Group acquired full control of in January, have involved potential headlamp components and brake-hose flaws. General Motors Co. is facing a growing number of lawsuits over recalls of at least 2.59 million small cars for faulty ignition switches. A lawyer for vehicle owners urged in a March 31 filing that the cases be consolidated. This year, GM has recalled almost 7 million vehicles worldwide.